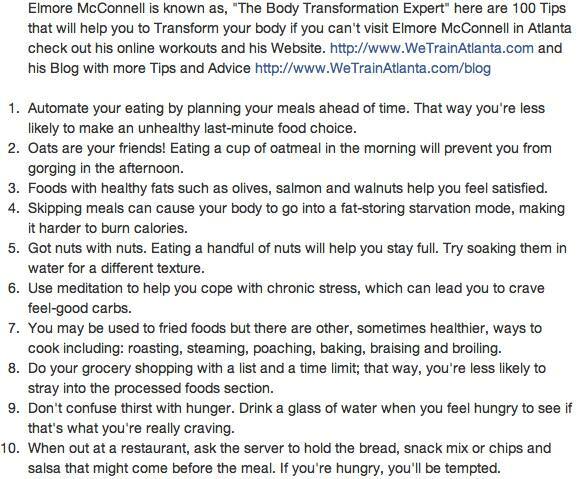 Atlanta Personal Trainer Give Free Advice and Tips. This is the same plan that has helped over over 35 of my past and present Doctor clients drop a combine weight of 1250 Pounds together. Yes Weight lose goals are my Trophies and fitness was my first choice profession out of college at Mississippi State University. I challenge you to try this nutritional guide for the next 30 days, weight yourself at the beginning and then again next month. I promise you this works. All the Atlanta and Buckhead Personal Trainers that i’ve met so far are like Give Me, Give Me, Give Me well I want to do the opposite that’s not why I started Personal Training and that’s not what I’m about. I’m about helping others and giving back! I’m happy as long as you use what I give you. Since working in Atlanta I haven’t seen any Personal Trainer Before and After Pictures or Video Testimonials. Have you? Atlanta is a great place but don’t fall for the smoke, mirrors and allusions Pick a Trainer Based on Results you can See and Measure. My Personal Training Clients Know every step of the way how good they are doing, how close are they to their goals and I document their success. When you give the positive feed back added with my other tools it Motivates my clients every steep of the way. Training in the Atlanta and Buckhead area and I want all my Personal Training Clients to have access to this that way you can always refer to it. I do write my Personal Training Clients Customized Nutritional/Diet Plans and I also work with a Chef for those who can’t find the time to Cook everyday. My job as a Trainer is to Eliminate all Excuses and Be your Accountability Partner. I’ve found that since working with a lot of the Elite and CEO’s in Atlanta you all think that you are Busy Until we Sit Down with a Calendar. 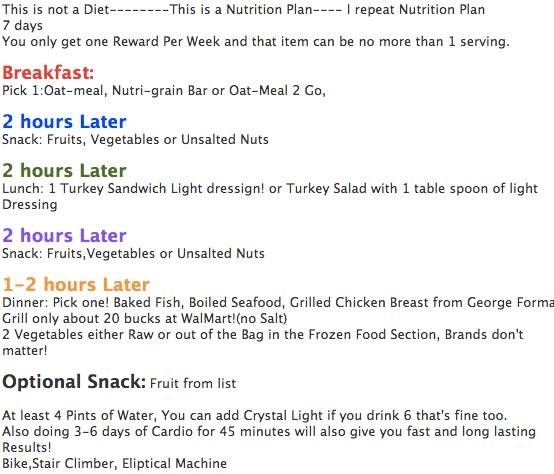 Nutrition Blueprint: You can use the food list below to add variety, if you have any questions feel free to ask. High Protein Nutritional plan that will help you to burn more calories and gain muscle tone. . All other sources from meats and vegetables are a plus. 2 Vegetables either Raw or out of the Bag in the Frozen Food Section, Brands don’t matter! At least 4 Pints of Water, You can add Crystal Light if you drink 6 that’s fine too. All you have to do is plug in foods from this list. Print this off and keep it where you can see it along with structure of the meals every 1-3 hours. These are lists of foods that are forbidden, recommended, or “to be eaten in moderation”.